Sigh MeltingStar is a singular artist and colorful contributor to the Pittsburgh scene. We interviewed him a year ago – on his art, philosophy, and struggles as a 28-year-old who suffers uninsured with Crohn’s disease – for our short film American Artist. Tragically, Sigh has been severely disabled with a form of Crohn’s-related arthritis for most of 2013. 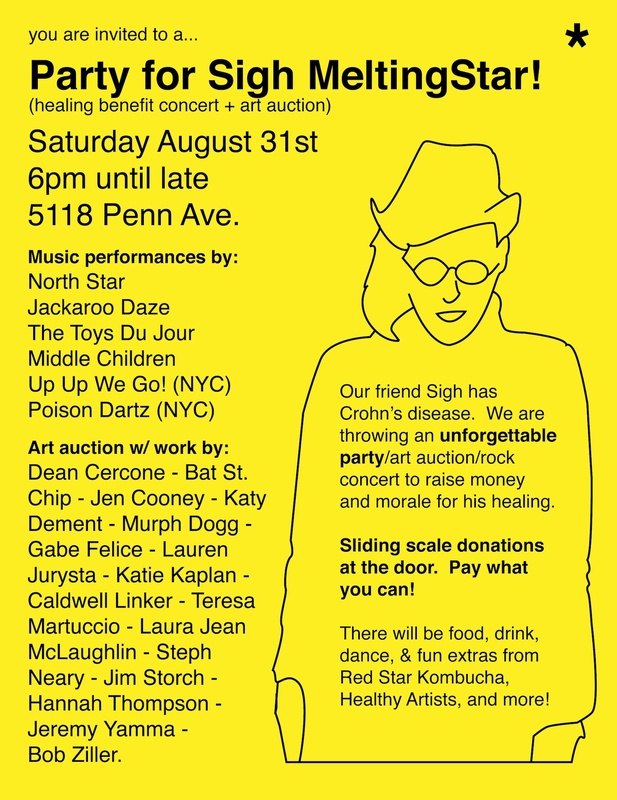 This Saturday (8/31), Pittsburgh creatives organized together by artist North Star, are throwing an incredible benefit for Sigh. There will be rock music, an art auction, and more (see details above). Come out and party for health’s sake!